Although it may be tempting to assume that crossing state lines may not affect much in terms of new laws to observe, every state maintains its own set of rules of which anyone doing business in a new state or locality needs to be aware. Business law in New Jersey, for instances, runs the gamut from environmental regulations to securities fraud to deceptive trade practices. Since state laws are constantly changing, even established businesses need to keep abreast of new statutes that may affect how or with whom they do business. In general, business law establishes standards, protects individual rights, and settles disputes between businesses and individuals or with other businesses. Some of the main aspects of business law include forming a company, mergers and acquisitions, shareholder rights, and property issues such as leasing office or warehouse space. 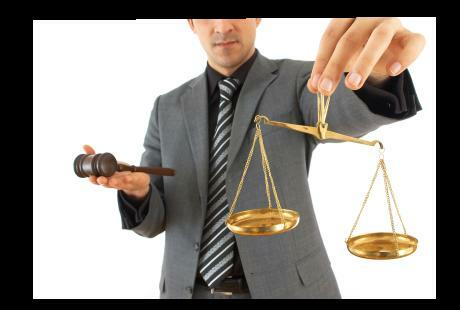 Much of business law focuses on setting up businesses and the subsequent transaction involved in those businesses. In addition to filing the necessary paperwork, a business lawyer must also deal with drawing up and negotiating contracts that are in the best interests of their clients. As businesses expand their reach both domestically and internationally, it becomes imperative for New Jersey businesses to understand how local, state, and federal regulations differ in order to avoid potential conflicts. One area which has been dramatically altered with the evolution of technology is intellectual property law. This type of law deals with the trademarks, patents, or copyrights that apply to creative output such as photography, music, or writing. One of the unfortunate consequences of the Information Age is that is has made stealing such property that much easier. Because information is so easily shared, copied, and downloaded, it is much harder to protect than it was in the past. Consequently, major players from the music, gaming, and television industries have lobbied for greater protections against the illegal copying and distribution of their property in order to minimize the disruption that it causes. Another important area, securities fraud, handles infractions involving stocks, bonds, or any other entity classified as a security. Some of the most common violations are insider trading, investor fraud, or false advertising. As Elon Musk recently found out after suggesting on social media that he was about to take his company private, any type of market manipulation, such as a misleading statement on Facebook, may constitute fraud and trigger an SEC investigation. How might this affect a New Jersey corporation? In addition to federal law, state law also governs securities fraud. At the state level, “Blue Sky Laws”, as they are commonly known, exist to protect individuals from financial firms. These laws enable the consumer to bring charges and request damages due to violation of state law. Consequently, a financial business committing fraud could run afoul of New Jersey as well as federal law. In other words, this business could face charges from a government agency such as the SEC, or private investors, or possibly both. Essentially, business law in New Jersey encompasses a wide range of activities that demands a current grasp of local as well as state laws. Whether it is a minimum wage above the federal provision, contract law, or theft of intellectual property, no business or corporation can afford to ignore the differences between local, state, or federal statutes.